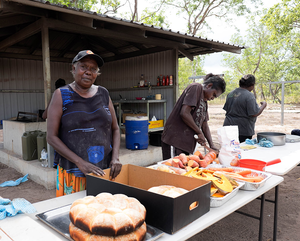 Mimal Land Management is focused on bringing benefits to country and culture for the Dalabon, Rembarrnga and Mayili landowners and people in south central Arnhem Land. We believe that building strong relationships between Mimal, landowners and the community is the foundation for our future. We’re committed to effective communication with landowners to keep their support strong and growing stronger. We’re open for business and value partnerships and support that underpin our core values. Mimal has strong leadership in our board of directors and we have employed experienced staff and consultants who share our vision. The Mimal Land Management area sits at the geographic centre of Arnhem Land, about 250km east from Katherine. It covers an area that’s nearly as big as Kakadu National Park. The main communities and homelands in the area include Bulman, Weemol and Barrapunta (Emu Springs). About 300 people reside in Bulman and Weemol, which is located 312km north east of Katherine on the Central Arnhem Highway. Our country is made up of lots of different types of ecosystems that support a diverse array of plants and animals – from Ruwurrno & Rorrobo (Grassy plains) to Badno & Ngalwad(Rock country), Berrhno & Mininyburr (Woodland and Forest) and Djula & Wah (Freshwater country). Across the area are special places that have important meaning to our people, including rock art sites and spiritual places linked to our dreaming. We have been on a long journey to independence since the inception of Mimal Rangers almost 20 years ago. On Wednesday October 25 2017, Mimal Land Management celebrates a new chapter as a group with control over its own land that is working toward a clear vision for our people, country and culture. 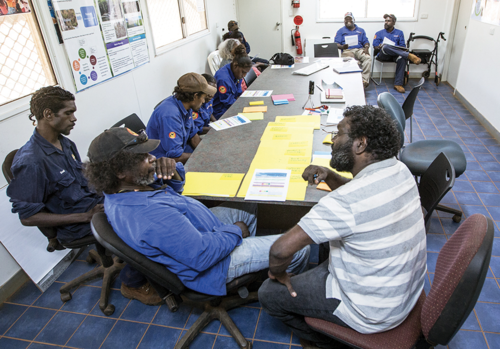 Two decades ago, landowners developed a land management plan for our area across south central Arnhem Land, culminating in the Bulman Region Land Management Strategy. Through work with the Bulman and Weemol Community Council, we developed caring for country activities and Mimal Rangers was established. The ranger group was part of the Northern Land Council for many years. 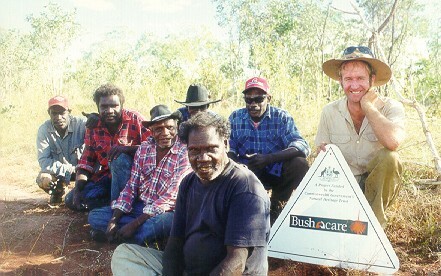 When we became involved in the development of the groundbreaking West Arnhem Land Fire Abatement Project and there was national recognition of the ways traditional fire management reduce greenhouse gas emissions, our landowners saw how income from the fire project could fund a move to full independence. Our first major step was incorporation in April 2015, followed by a gradual transition of the Mimal rangers from the NLC to Mimal Land Management. Today, Mimal Rangers are making a new start under local indigenous management. We have produced a 10-year plan using the same important principles we used during our first participatory planning work 20 years ago. People on their country with families, living on outstations and working to take care of country. Rangers supporting and working with outstation people and other landowners. Strong community relationships where we have good access to country, jobs and the right services and facilities. Country is clean and safe, springs and creeks flow strong and clean, and there is plenty of bush tucker. In the right season, we find plants and animals that have always been there. 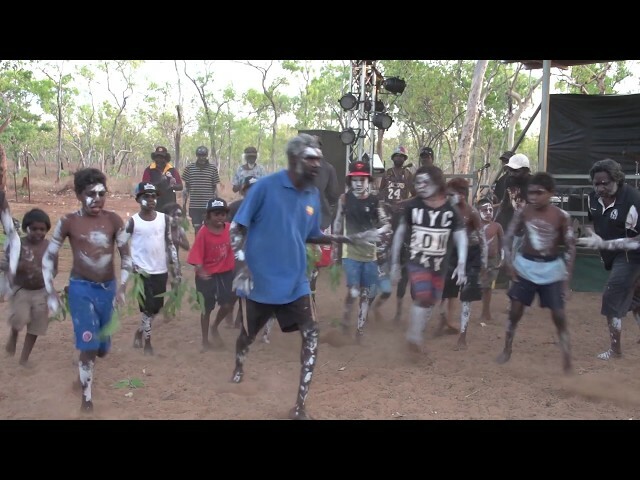 We have strong ceremony, language, dance and song connecting families, country and culture. Our families are happy again and people are sharing knowledge with younger generations who have two-way education about culture and country. Our rock art and cultural places are protected and we’re looking after the resting places of our ancestors. Businesses on country are successful, sustainable, and providing jobs for our people. Visitors and business partners respect traditional owners and our rules protecting culture and country.